Christmas is coming! But what will the weather be like? Barcelona in December is one of the warmer places in Europe, but this is still Europe: Don't expect beach weather and heatwaves. In the month of December, the weather drops to even colder conditions than those experienced in November in the city, but luckily, it's still dry. For this reason, if you are hoping for a beach holiday, December probably is not the best time for you to visit Barcelona! December is still incredibly festive throughout the city, as the Christmas season is in full swing, with markets, holiday decor, and plenty of other unique events to keep visitors entertained. Temperatures don't fall too low at this time of year in Barcelona, despite it being among the city's coldest months. With temperatures generally ranging from 50 to 60 degrees Fahrenheit (10 to 16 degrees Celsius), the weather provides time for some pleasant winter strolls. Though one would expect mid-December to be colder than earlier in the month, Barcelona has seen some quite unusual weather at this time of year. Temperatures drop a few degrees toward the end of the month, though outliers can happen, and the city's records include a warm 68 degrees Fahrenheit (20 degrees Celsius) high and a freezing 25 degrees Fahrenheit (-4 degrees Celsius) low. Barcelona in December isn't freezing, but you will need a few winter layers to be comfortable and some cold weather basics will come in handy. Christmas is coming, so check out the Christmas markets and nativity scenes that will be all over town at this time of year. Drap-Art: This annual creative festival dedicated to recycling is typically held into early December and includes concerts, performances, workshops, and a Christmas market. Fira de Santa Llúcia: This traditional Christmas market has more than 300 stalls. It's held on the Pla de la Seu through late December. This market is the perfect place to stock up on nativity scenes, poinsettia, and more. Fira de Sagrada Família: The famous cathedral's annual Christmas fair that has been held since the 1960s. More than 100 different stalls visit the market to sell their festive handicrafts. Christmas Day (Nadal) and Boxing Day (Sant Esteve): Both are widely celebrated through Spain. Barcelona hosts midnight Christmas mass and families gather together for elaborate feats and gift-giving. New Year's Eve: December 31 is largely a holiday celebrated with family, but revelers will still take to the Plaça Catalunya to celebrate the incoming new year. A visit to Barcelona isn't complete without seeing famous sites like the Sagrada Familia and the Picasso Museum, but you can skip lines for these attractions by getting your tickets in advance online. Autumn and winter bring fresh mushrooms to Barcelona's markets. Look for wild varieties like rovellons which can be fried or incorporated with eggs for a delicious omelet. Want to hit the slopes? Surprisingly, it's possible! You can visit the ski resorts of La Molina and La Masella, both of which are accessible via bus and offer ski rentals. 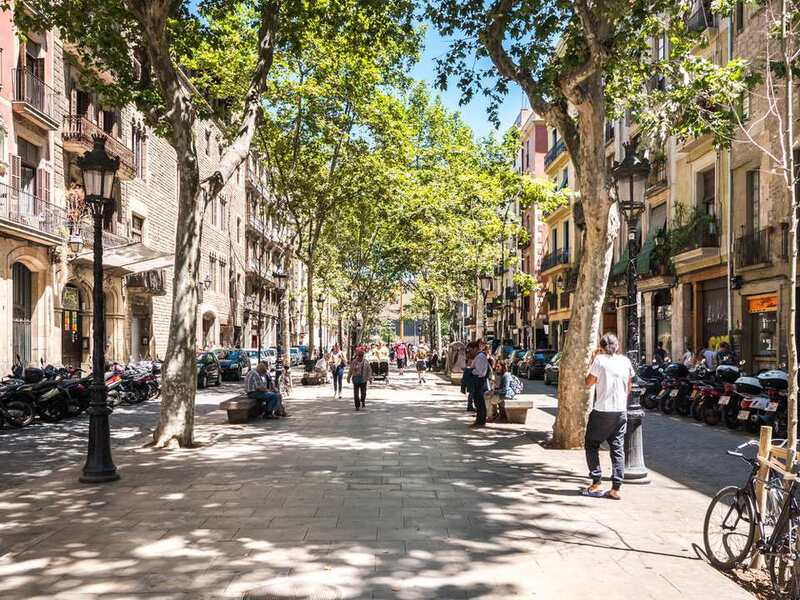 While a city like Barcelona doesn't ever truly have an off-season, December is much quieter than the summer months and can be a great time to visit for a traveler looking to save some money. Barcelona's airport is surprisingly convenient to the city. In just 25 minutes, you can be in the city center. Take the blue Aerobus, which costs just 5 Euro. Restaurants in Spain serves meals on a schedule that is unusual to many visitors. Most serve lunch (what most people likely think of as tapas) in the early afternoon. Dinner isn't eaten until much later, usually 9 or 10 p.m. While all locals will speak Spanish, most day-to-day conversations take place in Catalan. It's helpful to learn a few phrases before you go. What weather can you expect in Barcelona in June? Which Airports Are in Barcelona and How Do You Get to Them?